Dice DeRiso che a salvare la carriera degli XTC trent'anni fa furono i Dukes of Stratosphear. 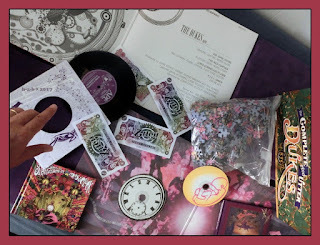 Probabilmente c'è da credergli, se così già si espresse a suo tempo Lord Cornelius Plum in persona: "It's within the realms of possibility that XTC would not have survived beyond the 1980s without the cathartic effect this fun side-project engendered. That so many others found it amusing and entertaining simply adds to the joy we derived from its creation."